A passing reference by The Beer Nut to a Polish grapefruit-Weizen Radler reminded me that this is also one of the fastest growing beer-mixes in Germany. 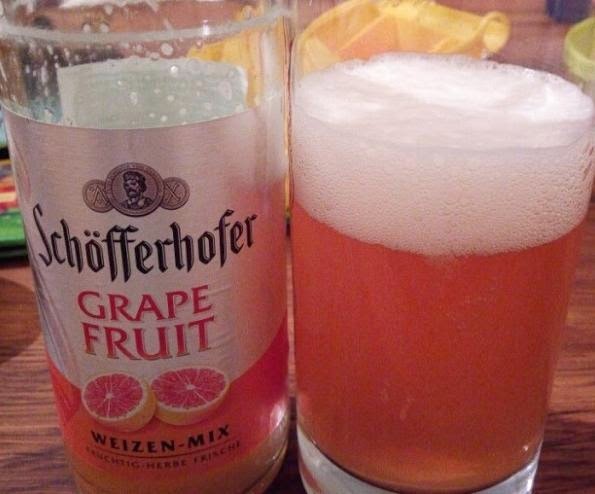 The best-known, and probably the best-seller, is almost certainly Schöfferhofer Grapefruit, but pretty much every larger brewery now seems to do a grapefruit Radler – and yes, they all call it grapefruit rather than the older German name, pampelmuse. Initially they were all 2.5% ABV mixes with Weizen/Weissbier, but now mixes with blond lagers are appearing too, as are 0% mixes made with non-alcoholic Weizen. And while they may be flat and watery with little noticeable beer character (hello Schöfferhofer! ), I don't usually find them as offensively sweet as traditional lemonade Radlers and shandies can be. Then I suddenly realised – grapefruit is also one of the aromas and flavours that's often associated with craft beer, to the extent that those who don't like modern citrus-hoppy pale ales and the like tend to disparage them as “bloody grapefruit beers”. OK, in this case the grapefruit character is from the hops, usually (but not exclusively) US ones such as Cascade or Chinook, and the flavours are more grapefruit bitterness than sweetness. But the parallels are there. And sure, you can see it with other citrus fruit too – lemon is a long-standing one of course, and I recently greatly enjoyed Beavertown's Bloody 'Ell, which is an IPA with blood oranges in the boil – but grapefruit is the one that's taken off with both the aficionados and the mass market. 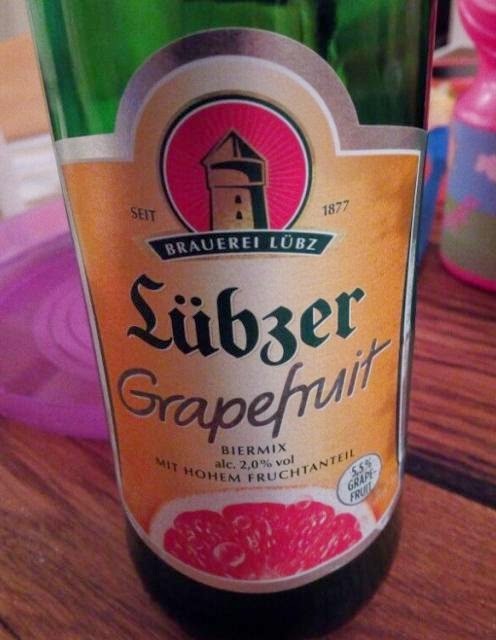 So what is it about the characters of beer and grapefruit that make them go together so bizarrely well? !